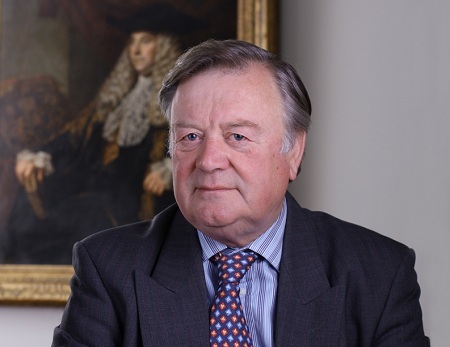 Second to Boris Johnson, perhaps, Clarke connects with the British people in a way that few Tories have managed in recent times. First elected to Parliament in 1970 for the Rushcliffe constituency, Clarke served as a junior whip in the governments of Edward Heath in the 1970s. He was promoted under prime minister Margaret Thatcher to minister of state for health and later as minister of state for education and science. But Clarke truly came into his own as one of the major figures in the government of John Major, who immediately appointed Clarke as his home minister and then as chancellor, following the resignation of Norman Lamont and the ‘Black Wednesday’ debacle for the British pound. Clarke continued to serve through the end of the Major government as one of its most popular members, though not always with Conservatives themselves. Clarke was well known as and one of the most pro-euro Tories, hearkening back to his roots with the more moderate Heath wing of the Conservative Party; nonetheless, his pro-Europe views won much enmity among a Tory caucus very much divided over Europe in the mid-1990s. In 1997, he was runner-up to William Hague, who won with a last-minute endorsement from Thatcher herself, despite a late alliance between Clarke and the rabidly euroskpetic John Redwood. In 2001, he edged out frontrunner Michael Portillo in the first round, but lost the second round vote among the Tory rank-and-file to the inexperienced Duncan Smith. But the Tories were just fine with keeping Clarke waiting forever, and elected Cameron, now the prime minister, as their leader instead. Indeed it was with mild surprise that Clarke, now 72, took on the role of justice minister in Cameron’s government. As justice minister, Clarke has argued that lengthy prison sentences don’t work and signaled that he would work to reduce the number of incarcerated prisoners. Prison reform in the United Kingdom has been a bit of a disaster in the Cameron government, though, with Clarke and Cameron tussling publically over how far to reform the prison system — Clarke ultimately backed down over a plan to discount sentences by 50% in return for early pleas. Clarke has also worked to put more discretion in the hands of judges with respect to sentencing. The upside for the Cameron government in implementing such reforms would be to reduce the justice ministry’s costs by up to 25%. A Tory MP on the Right of the party said: “Ken must accept he has had his day and it is time to move on. We must send out to voters a coherent and tough message on law and order and we are not doing that at the moment. Tough words. If Cameron does push Clarke out, it will not just be a move to bring newer blood into the cabinet. It will also be not an insignificant shift rightward within the Tory high guard, and it will most likely mean the end of the Tory experiment with progressive prison reform.